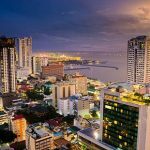 Private investigators in Manila and Cebu are experiencing a rise in the demand for background check investigations. The increase in this kind of services is great news for all, business people and common citizens who will be safer. Verifying individuals and companies means less risk for fraud and scams, and more successful business and personal relationships. For a long time, the Philippines has been sunk in widespread corruption and fraud. Bribery, identity theft, romance scams, investment fraud and many other crimes have been part of the daily routine in the Philippines. However, people are starting to understand that the only way to avoid fraud and to stop with this cycle is prevention. When people are not fooled anymore with a forged document or a tempting conversation, then criminals won’t be able to cash in. 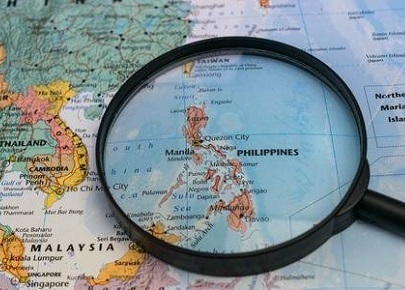 The need for background check investigations in the Philippines was popularized mainly by foreigners who needed to verify the identity of a Filipina they met online. But thanks to this need, the practice of conducting background checks as a preventive measure has now expanded to many other situations. Background check investigations and due diligence are becoming more common with investors and business people who need to get the facts to minimize their risk. For companies who want to make sure their talent is in fact the best, there is no better choice than a reputable private investigator. Even people who donate to charity or are involved in social causes are now turning to professional investigators to make sure their effort is worthwhile and not just money wasted. “The more people understand that professional background checks are worth the money, the better for all,” says Nathan Mendoza, Director of Background Checks at Philippine PI. The most efficient way to stop internet crime is to cut the criminals’ profits, and the only way to stay safe is to verify. What should a proper background check investigation include? A background check investigation in the Philippines should be a thorough investigation conducted by a professional. It should include everything from verifying the subject’s identity by checking birth records and ID or passport, to verifying employment history, education claims, address and phone number, and other documents when available. Depending on the type of relationship (whether personal or business), the investigator can focus on different verifications and deepen the investigation according to the client’s needs. For example, in a personal related matter, people might want to focus on marriage and children records, while an employment background check will focus on education and employment, and obtaining independent references on the subject’s reputation. What is certain is that a professional background check investigation has to be conducted by professionals on the ground who know the language and have access to the sources of information and local evidence. Otherwise, the evidence found might not be reliable. The growth in background check services helps the Philippines attain a safer environment for both individuals and companies. Contact us today if you need to verify someone! The level of fraud and scams have skyrocketed in the Philippines. Just when you thought it could not get any worse. It’s good to investigate first. Great advice.